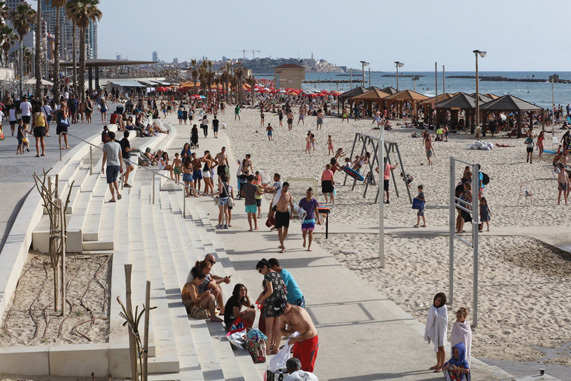 A number of trends have recently emerged in the shaping and development of Tel Aviv’s catalogue of tourism offerings, with the following changes in particular impacting the field and offering a fresh perspective on what visitors want when traveling to the city. Similarly, the Abraham Hostel Tel Aviv offers a diverse range of accommodation options, from shared dorms and facilities to private rooms, and hosts daily events in its communal spaces, including Friday night dinners, concerts and various workshops, in turn creating a multi-conceptual approach in attracting visitors and the local community to a common space. The Smart Hotel trend has been growing in Israel in general, and particularly in Tel Aviv, where more and more properties are implementing new types of communication systems – for example the Sheraton Tel Aviv’s on-demand guest WhatsApp messaging platform – all with a common goal to transform the function of their services. “Smart luxury is a concept that many travelers have come to expect from a hotel now, more so than traditional elements,” Says Copeland. In illustration of this, the Setai Tel Aviv, scheduled to open later in the year, has implemented Smart features across every aspect of its hotel, including a lighting system in each room to suit individual preferences, and laptop television connection.